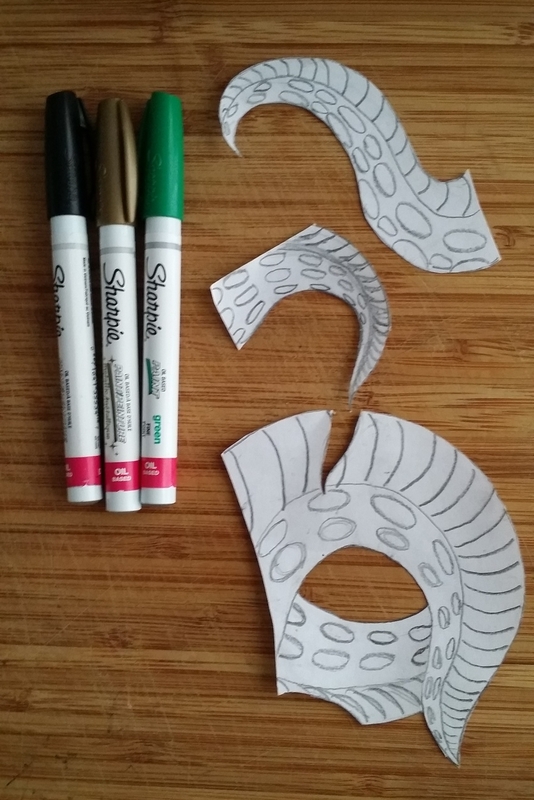 Over the weekend, my husband, Jeremiah and I tried our hand at the "Sharpie Mug" DIY project. We went with Don't Mind If I Do's tried and tested advice and used oil-based sharpies for our project found at Michael's Arts and Crafts, which happened to have a buy one get one half off promotion. We experimented and made a variety, but there is one in particular that stands out as spectacular - an example of taking a common DIY project to another level. I wish I could say I had a step-by-step on the mug below. I also, wish I could say I made it. 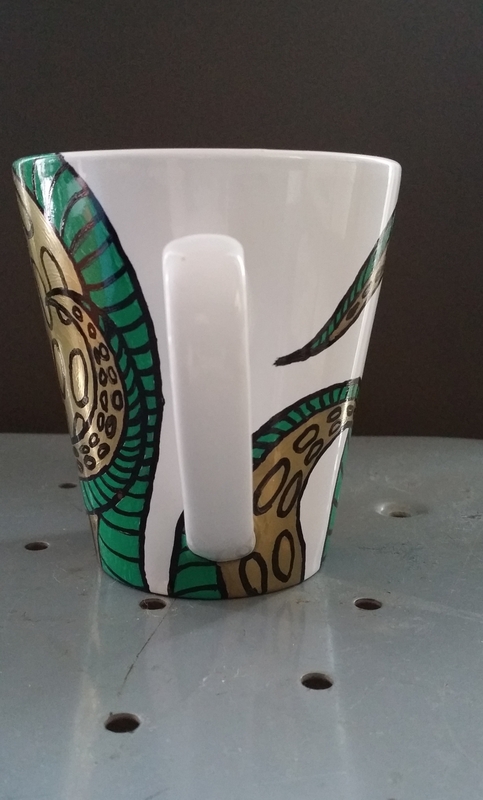 Alas, Jeremiah created this gorgeous geekery - what I call the "Cthulhu-Inspired Sharpie Mug." Proof that you can level-up any online DIY project. Hope this inspires you to do the same. Happy Crafting!